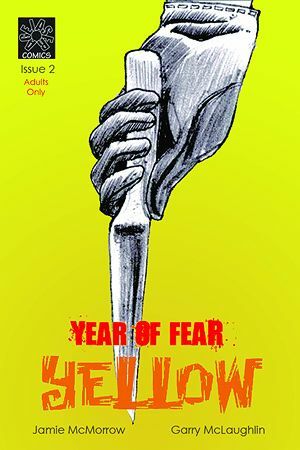 The second instalment of Year of Fear is another gruesome black and white affair as a faceless killer stalks the streets. Taking obvious inspiration from the Italian giallo film movement, we get the black gloves, savage violence and sharply framed action (‘giallo’ is Italian for ‘yellow’). All of which leads to a suitably shocking reveal in the very final frame.